Britain has some breathtaking UNESCO World Heritage Sites from the historic cities of Edinburgh and Bath to beautiful British Coastal World Heritage Sites like the Orkney or the Jurassic coastline. A World Heritage Site is a cultural or natural landmark that has been recognized by the United Nations Educational, Scientific and Cultural Organization (UNESCO), where each World Heritage Site is held in collective trust, ‘belonging to all the peoples of the world, irrespective of the territory on which they are located’, and is legally protected by international treaty. The Castles and Town Walls of King Edward are actually 4 separate sites in Gwynedd, Wales that were built in the late 13th-century and early 14th-century. UNESCO considers these four to be some of the finest examples of late 13th and early 14th-century military architecture in Europe. The castles were either new fortifications or existing ones reinforced by the English King Edward I when in 1283 he expanded his control into north-west Wales. He set out on an ambitious and very expensive project, to build an “Iron Ring” of castles and new towns to house English settlers. All were built by the same man, James de Saint George from the Savoy, the king’s chief architect in Wales. Caernarfon (1283) castle and town walls provided a defensive circuit around Caernarfon. Castle and town walls of Conwy (1283-1289), a rectangular castle built on a coastal ridge, originally overlooking an important River Conwy crossing point. 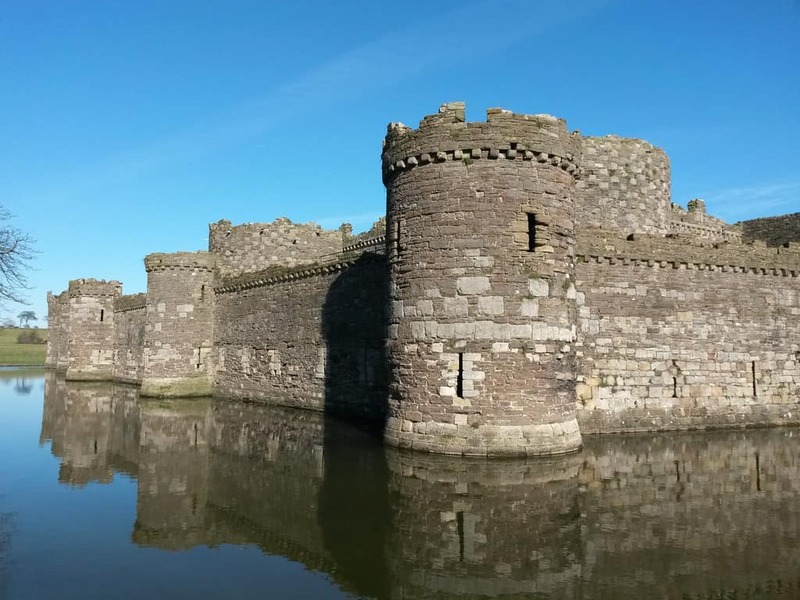 Castle of Beaumaris (begun in 1295, but never completed) is a concentric castle with a moat, the last and largest of the castles to be built by King Edward. Harlech Castle (1283) is another concentric castle constructed atop a cliff close to the Irish Sea. 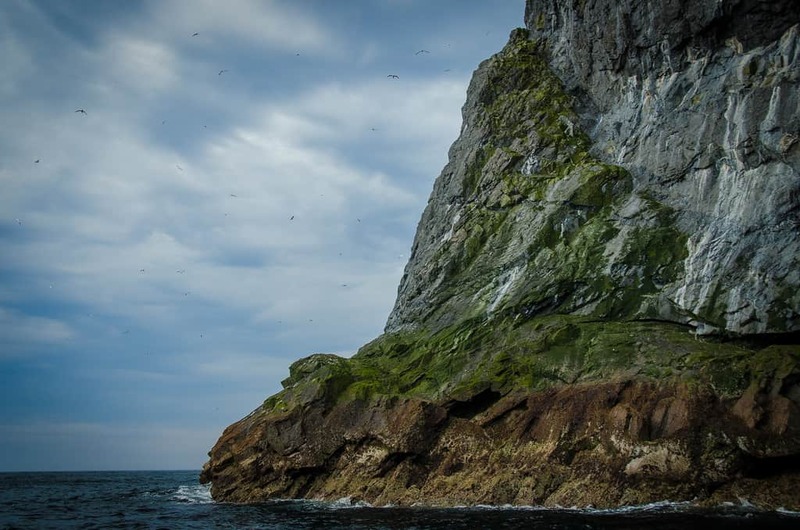 St Kilda is a dramatic landscape of exceptional cliffs and underwater scenery on a remote and uninhabited archipelago within Scotland’s Outer Hebrides in the north Atlantic off the west coast of the Scottish mainland. The archipelago renowned for its seabird breeding consists of the islands in size order of Hirta, Soay (‘sheep island’), Boreray (‘the fortified isle’) and the island of Dùn (‘fort’). Dùn protects Village Bay from the prevailing southwesterly winds, was at one time joined to Hirta by a natural arch. Smaller islets and stacks in the group include Stac an Armin (‘warrior’s stack’), Stac Lee (‘grey stack’) and Stac Levenish (‘stream’ or ‘torrent’). Hirta the largest island was the only one to be occupied with the last remaining people asking to be evacuated in August 1930 due to a lack of resources to survive on. The remains of 4 settlements are left, the structures are a mix of all ages that include a medieval village. Today over 1 million seabirds use the islands and St Kilda is a breeding ground for many important seabird species, including Atlantic Puffins, Northern Gannets, Leach’s Petrels, and Northern Fulmar. The heritage site is not just the islands but in 2004 was extended to also include the sea around them which is home to minke and killer whales, harbour porpoises, Risso’s dolphins, Atlantic white-sided dolphin, white-beaked dolphin and Atlantic Grey seals. Access to the islands is only by boat to the jetty in Village Bay, Hirta. Many tours options leaving from Skye and places like Oban and Mallaig. If you are intending to use your own boat then you will need to contact the Ranger on arrival. The only accommodation on the island is a small campsite, with room for a maximum of 6 people and due to the limited space booking is essential. The “Frontiers of the Roman Empire” includes two sections of the Upper German-Raetian Limes in Germany and then in England Hadrian’s Wall and the Antonine Wall further north in Scotland. This is part of a frontier known as the ‘Roman Limes’ which originally stretched more than 5,000km (3,107 miles) from the Atlantic coast of northern Britain through Europe to the Black Sea. The Hadrian’s Wall was built under the orders of the Roman Emperor Hadrian in AD 122 “to separate Romans from Barbarians”. It took six years to build the wall 117km (73 miles) long where it formed the most northern border of his empire. Later, there was some Roman expansion further north, resulting in the smaller Antonine Wall spanning approximately 63 kilometres (39 miles). Today, the ruins of these Limes consist of forts, watchtowers, ditches and walls. There are also some civilian settlements in some parts of the Roman Limes. 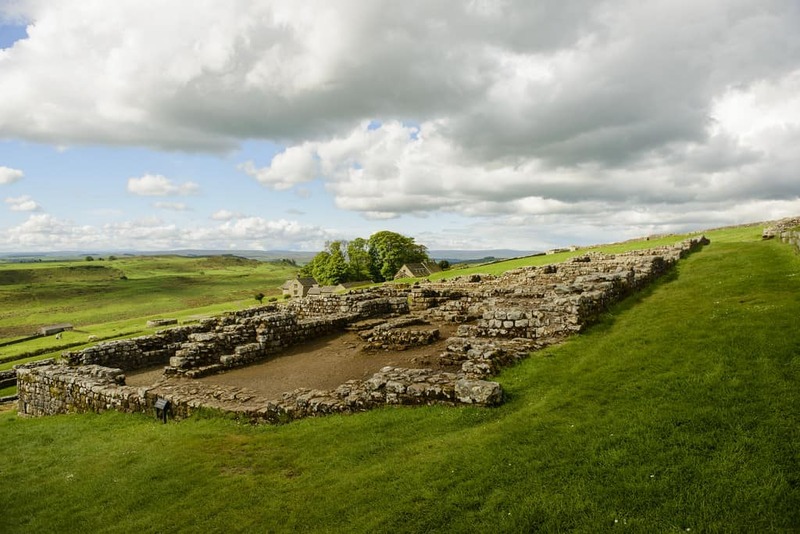 The National Trust owns a six-mile stretch which includes Housesteads Fort, the best preserved of 13 outposts along the wall. The Heart of Neolithic Orkney refers to a group of Neolithic monuments found on Mainland, the largest island of the Scottish Orkney Islands. The structures were built during the period 3000 BC to 2000 BC with archaeological evidence suggesting that they were important social and religious centres. 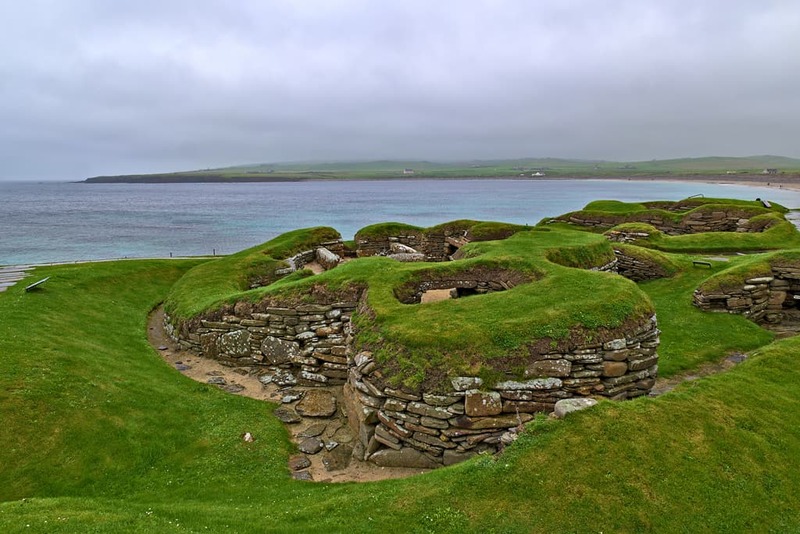 The Neolithic village of Skara Brae is a settlement composed of stone-built houses with stone furnishings. Maeshowe a burial mound built on an artificial platform, with an interior passage and chambers. It is aligned so that the rear wall of its central chamber is illuminated on the setting sun of the winter solstice. Maeshowe was looted by Vikings in about the 12th century and more than thirty runic inscriptions were left behind on the walls of the chamber. Standing Stones of Stenness: 12 large standing thin stone slabs, 4 of them were part of a stone circle; it also includes the 5.5m Watch Stone. Ring of Brodgar: a series of tall stones (originally 60, now only 27 left) forming a 104m diameter circle. The Jurassic Coast is England’s only natural World Heritage site stretching from Exmouth in East Devon to Studland in Dorset. 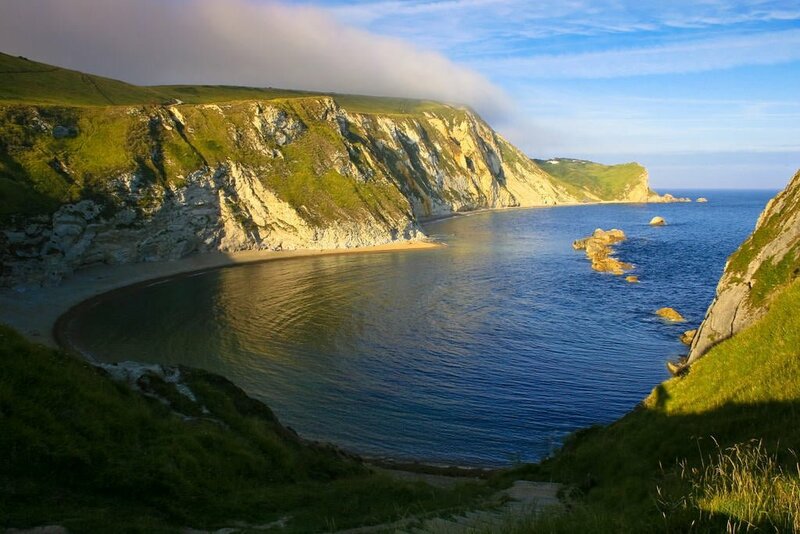 The rock formations and fossils of the Jurassic Coast chart 185 million years of the Earth’s history with its fossils and geological features drawing visitors and scientists for over 300 years. The National Trust protects one-third of this stunning 154km (95 miles) coastline which remains accessible and beautiful. Many visitors enjoy the coastal walks and cliff-top views of this natural World Heritage Site. where the South West Coast path provides easy access over its entire length. Rock formations are exposed from the Triassic, Jurassic and Cretaceous era’s with large numbers of animal (marine and terrestrial) and plant fossils being discovered here, as well as fossil dinosaur footprints. With every storm and high tide, the coast is impacted revealing fossils making this an exceptional area for beachcombing. Lyme Regis museum as well as having displays also organises regular fossil walks, talks and fossil-hunting expeditions. The Giant’s Causeway is a natural rock formation created by cooling lava millions of years ago. The causeway is located about 3 km (1.8 miles) north of the town of Bushmills along the North Atlantic coast of County Antrim, Northern Ireland. 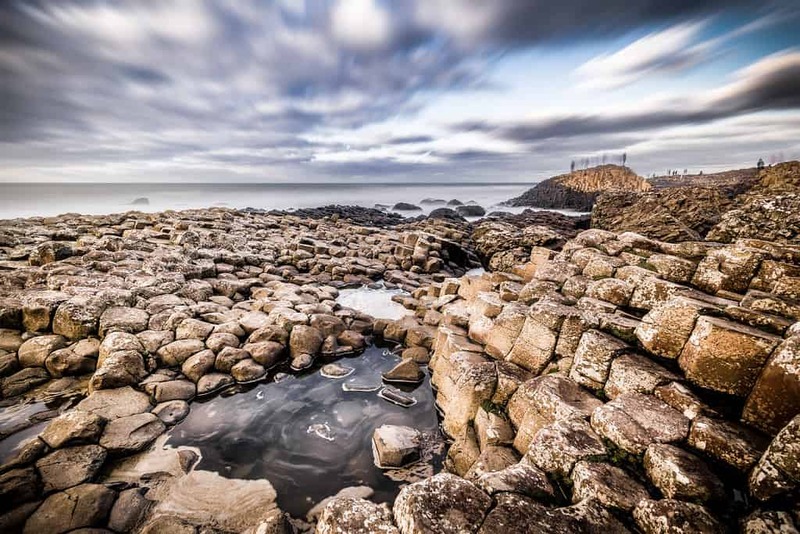 This is Northern Ireland’s only World Heritage site and a spectacular natural phenomenon with over 40,000 interlocking columns of basalt. The tops of the columns form stepping stones that lead from the cliff foot and disappear into the sea, that is also the inspiration for legends of giants striding over the sea to Scotland. Most of the columns are hexagonal, however, there are some with four, five, seven and eight sides. The tallest are about 12 metres (39 ft) high, and the solidified lava in the cliffs is 28 metres (91 feet) thick in places. This UNESCO World Heritage Site is one of Northern Ireland most popular tourist destinations much of which is owned and managed by the National Trust that offers a Visitor Centre and café. The Cornwall and West Devon landscape was transformed in the 18th and 19th century by the mining of copper and tin, with steam technology being pioneered within the many mines. The coastal landscape is dotted with ruined mines, engine houses, waste and spoil heaps, railways and canals. The region made a significant contribution to the Industrial Revolution with many of the technologies used for mining exported to other parts of the world, with surviving Cornish engine houses in Spain, South Africa, Mexico and Australia. 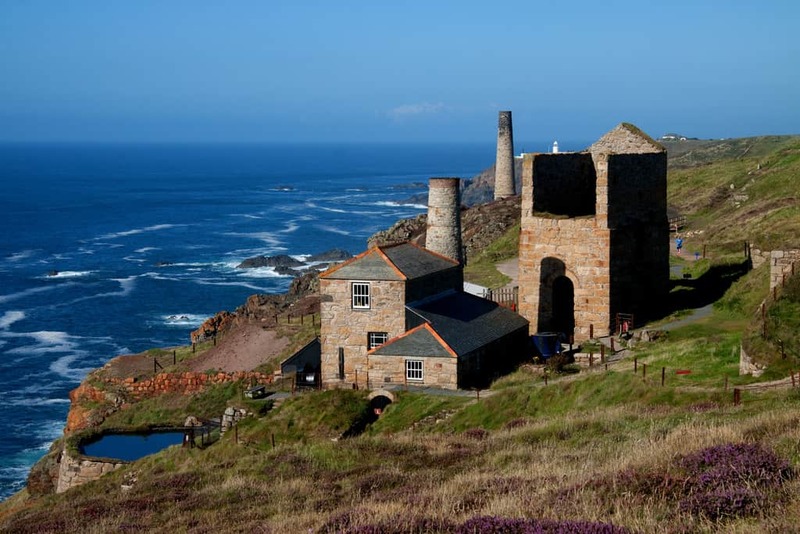 During the 18th to 19th-century copper and tin mining was booming in Cornwall and West Devon. The area consisted of deep underground mines, foundries, ports, harbours, engine houses, and ancillary industries. The region produced roughly two-thirds of the copper supply in the world. In recent times this mining history has been brought to many’s attention by the television series Poldark, we have an article giving details of some of the filming locations. We have included the Lake District as although it really has World Heritage status due to the beautiful lakes and mountains we also must not forget it includes a small stretch of the Cumbria coastline from Seascale to Millom. 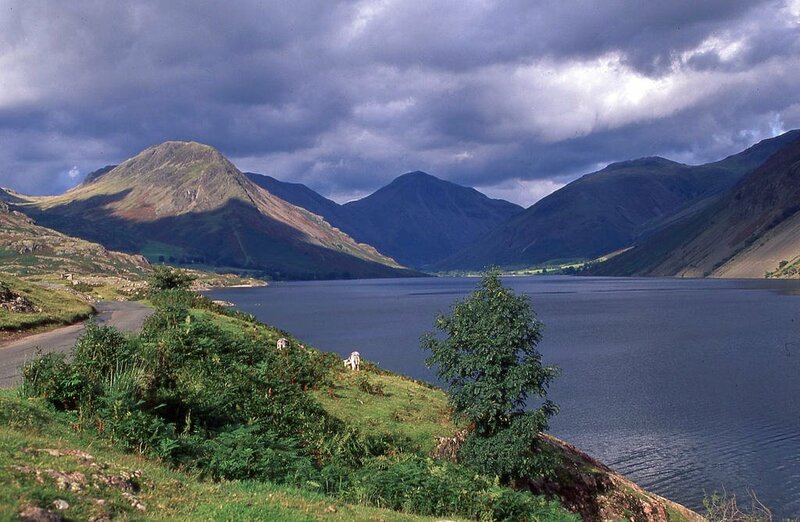 There are four main valleys leading from the coast into the Lake District park: Ennerdale, Eskdale, Wasdale and Dunnerdale. Wasdale is the home of England’s highest mountain Scafell Pike and the deepest lake Wastwater, whilst, the Eskdale Railway takes you to the coast and the Parks only coastal town at Ravenglass with its scenic estuary.